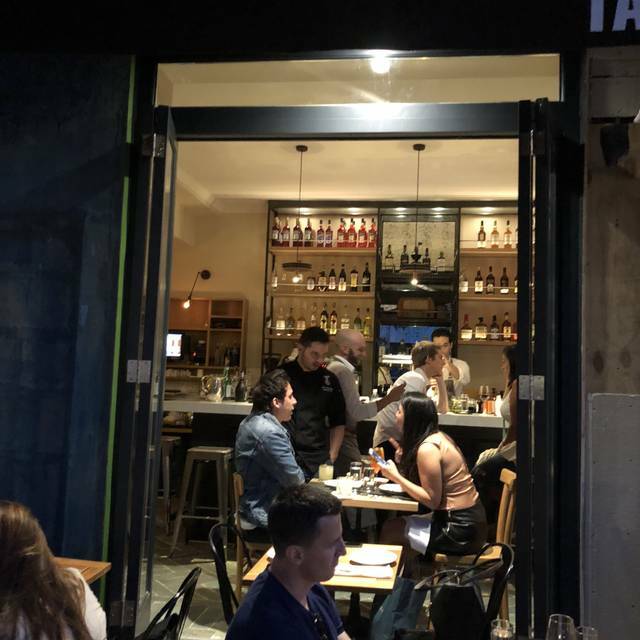 You must make reservations at least 5 minutes in advance of the time at Tarallucci e Vino East Village. Tarallucci e Vino wants to cater your event. We have extensive experience making small and large parties memorable occasions for a variety of clients. We’re happy to meet any equipment and staff needs you may have, and we can even help you find a location. You can choose from our catering menu, but if you have specific requests we’ll be glad to accommodate you. And if you’d like to serve alcohol at your event we’re licensed to serve the same excellent beer and wine you’ll find in our restaurant. 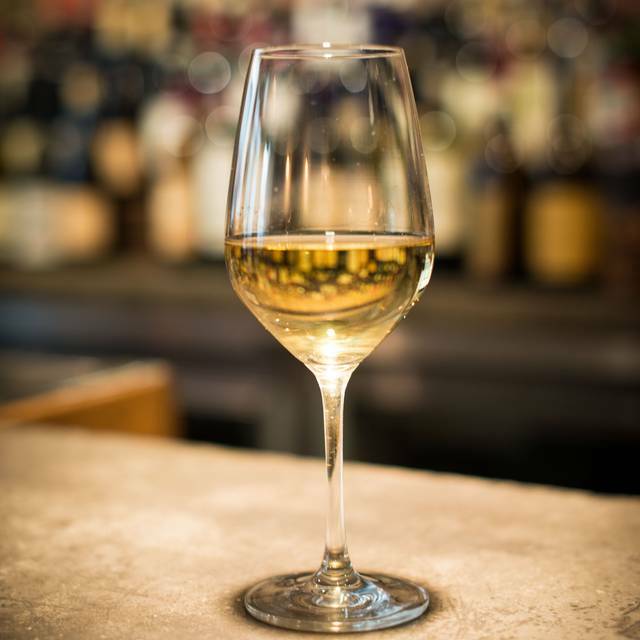 "All ends well with Tarallucci e Vino" is the famous Italian saying rooted in the tradition of resolving any matter over a glass of wine and tarallucci, the classic southern Italian cookie. 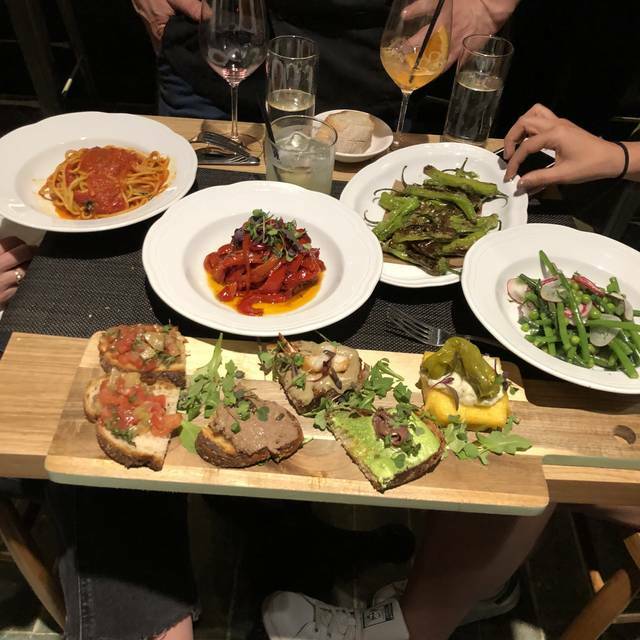 Established in 2001, Tarallucci e Vino East Village was born from owner Luca Di Pietro’s desire to bring the time-honored tradition of Italian coffee and cuisine to New York City. 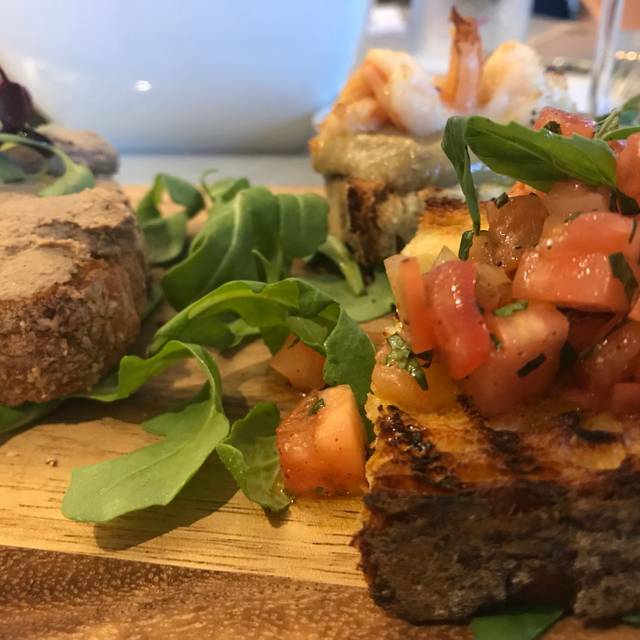 Like all of our locations, this neighborhood hangout treats locals and visitors to excellent coffee, housemade pastries, fresh pastas and seasonal New York Green Market inspired plates. 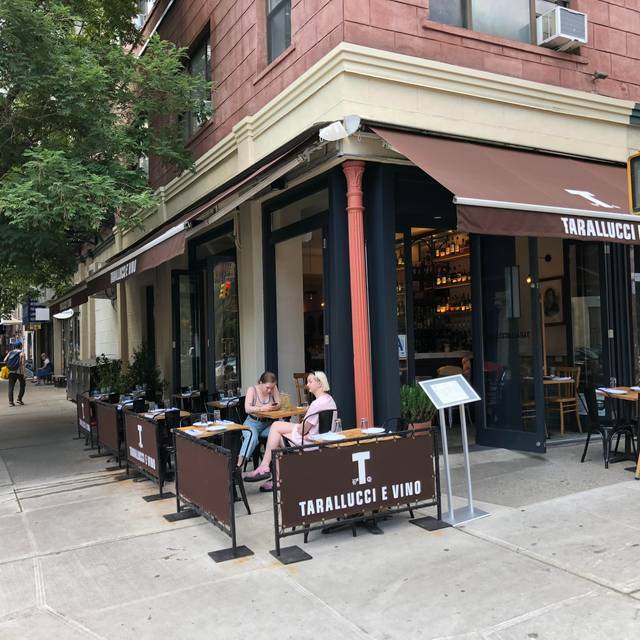 Tarallucci e Vino East Village’s warm atmosphere makes it the go-to spot for an early morning espresso, casual meet-ups over lunch or drinks, and cheerful weekend brunches. Open for breakfast, lunch, brunch and dinner. Not sure why this is rated so highly. The food is terrible. Nice quiet spot for a very good meal in this East Village neighborhood! We are locals, had a wonderful dinner here in the renovated space. Roger the manager couldn’t have been more attentive. And the meatball antipasti, broccoli soufflé, pasta and our wine all great choices suggested by him. We will definitely be back and love having a neighborhood little gem like this. Great Service!! Food was delicious and the desserts were excellent!! Perfect place for a Business meeting or otherwise. We were not hurried in any way and had a delightful lunch!! Great food, very enjoyable dinner. Alex at the bar is fantastic. He makes unique and very fun custom cocktails and is so friendly. Have been several times and the food as always been fantastic. Brought my out of town friends here for dinner and we all loved our meals. Our server was fantastic, personable and attentive, the bartender was friendly and welcoming. Not a bad thing to say abiutbthr place. Delicious food, great drinks, calm ambiance and excellent service and attention to the customers!! The waiter and host (Roger and the other gentleman's name escapes me) were an amazing duon in their service. I would absolutely return because of the dinning experience. We made a reservation for restaurant week. The restaurant was small and cute. It filled up quickly around 7:30/8PM on a Friday evening. The bartender and the wait staff were nice. The menu looked appealing, but we ordered from the restaurant week menu. We ordered an Aperol Spritz Pitcher, it was delicious but low in alcohol content. The meal was okay. The pasta was delicious. The apps/dessert were okay. The restaurant was very cold, there were people coming in and out, not enough space for our jackets - that kept falling on the floor. Overall, an alight experienced. If I returned, it would be for a casual meal in the summertime. Food was unpretentious and comforting yet not outdated and delicious! The butternut soufflé was so delicious it’s unfortunate it’s available only seasonally. The pastries were very good! But the brunch was less than mediocre. $15 for two cold poached eggs, deli ham, and cold gummy polenta cakes- hardly worth it. Didn't eat half. The $3 almond croissant was heavenly however, I would have even paid a bit more. Stick to coffee, pastries, and conversation here. The waitress was lovely and the wine was pretty good. My husband ordered the cacio pepe, which was pretty great. 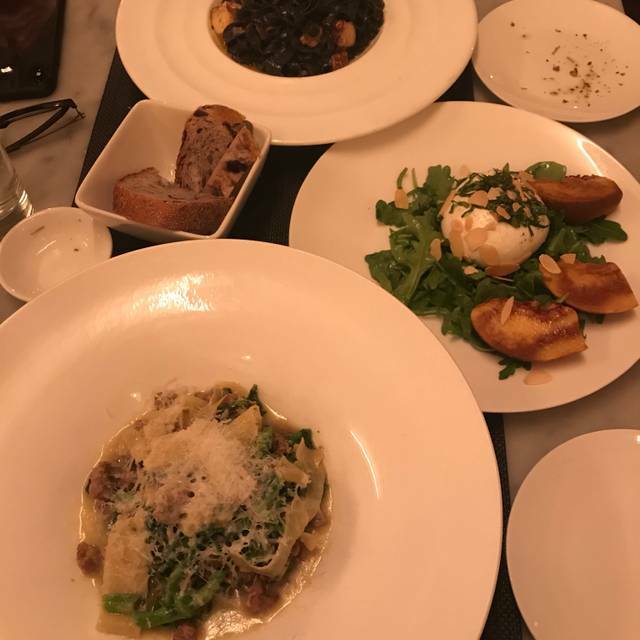 I ordered the broccoli rabe, sausage and orichette, which was sub-par to say the least. First, there was no visible sausage in the pasta (was it minced? hiding? pulsed into the weird green sauce?) I honestly think the chef just forgot to add it. The green sauce looked like melted play-doh, so that was a little off-putting. I 10000% ordered incorrectly, and would definitely give it another go, as they tend to have a consistent crowd. Second time in this restaurant for dinner, and again a pleasant experience: good wine, great food, excellent service. Didn't realize this was such a small location - basically a cafe. Great ambiance, though, because the environment is quiet and casual. Good for a brunch date. Food was tasty but portions a little bit small. comfortable, beautiful place, both indoors and outdoors. great selection of brunch items to choose from. reasonable prices. food was ok--but should have been better. coffee (regular) tasted bitter. Avocado toast was fresh and beautiful looking but kind of bland. We were delighted with our food except the shishito peppers should have been cooked 2 minutes longer so that they weren’t so crunchy. Our main entrees were terrific. Wine was delicious, but would have preferred a happy hour discount in the dining area vs just the bar - even if it was nominal. Only problem was being seated in the rear, my chair was constantly being bumped by clientele and staff going by. Better once I moved onto the corner of the banquette. Food was great and nice service. Very nice staff & service. Nice ambiance for a casual dinner. I wished they could have offered a bit more entree’s & had interchange with some specials such as pasta with different sauces. My meal was very good though. I would recommend it! 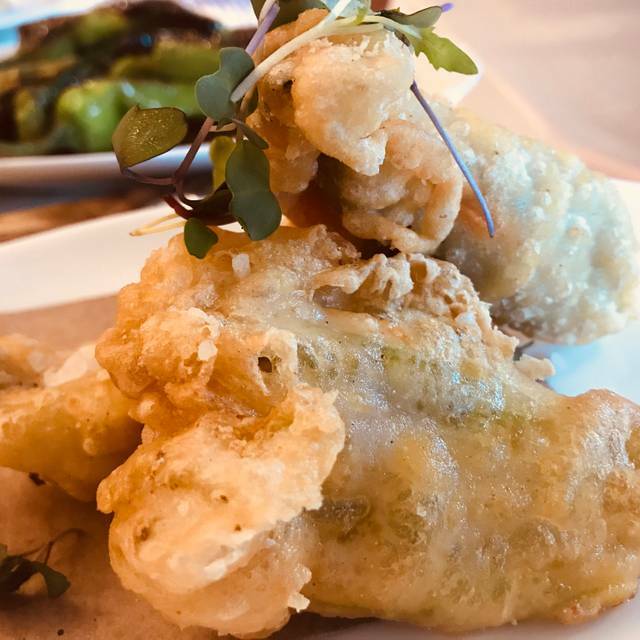 A wonderfully authentic Italiano L’Osteria - serving family honored dishes like “Fiori di zucca” -delicious ricotta stuffed zucchini flowers - with modern taste treats. I love the open air dining and house wine on tap. Great atmosphere. Comfortable space and great service. Bartender was awesome and offered great advice and helped us pick the perfect wine for our meal. Wait staff was very friendly and accommodating. Outside seating was perfect and the portions of our meal were just right. Great spot to catch up with friends over a casual drink and have a great meal! Went to Taralucci for the second time. It’s right next to my apartment and nice we decided to sit outside. I was astonished by the prices for portions the size of the palm of my hand. Food was good, flavorful but there is no reason an Italian Resturant with 60+ other Italian restaurants within a mile radius should get away with prices like this at such a small portion. Unfortunately won’t be going back. Will be sticking to my other Italian restaurants on the block with massive portions. This is a great, quiet place with wonderful italian food and a good selectin of wine. I had the ravioli with truffles. It was soooo delicious . So far, this is the best ravioli I had in NYC. However, the portion was just too small for the price that they charge . The food and service was excellent. 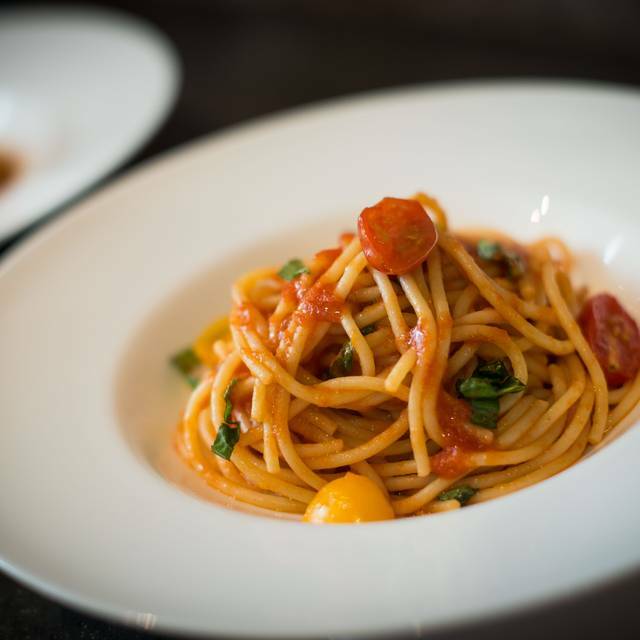 Cheeses are fresh and tasty, and the pasta dishes were full of flavor and made al dente. Highly recommended. This is my second visit here this year, both times while in the city from out of town. Everyone I have taken there has absolutely loved it, and the atmosphere is superb. 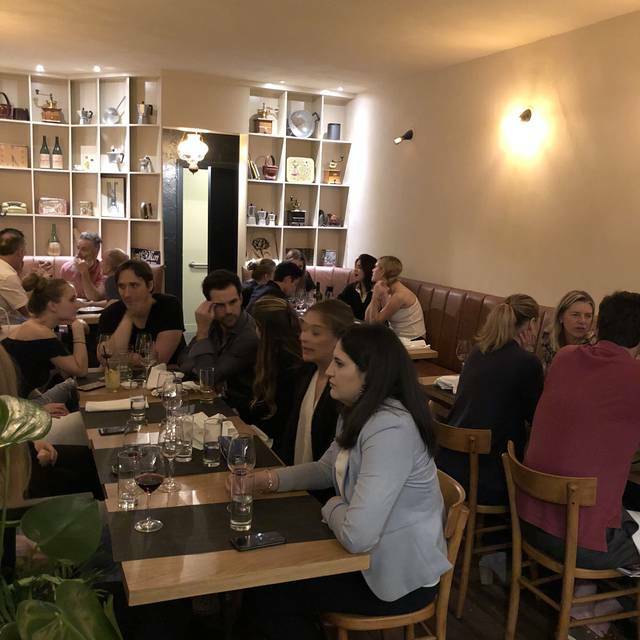 It is a cozy, local spot, where they aren't bothered if you want to linger over a bottle of wine. If you can go on a Wednesday for one of their traditional polenta dinners DO IT!! Nice, casual spot for lunch. The menu is not big but the food was well-prepared and a very good value. The wine list is short, but good and varied for a small place, with prices that are not low, but not unconscionable. We totally enjoyed the Wednesday polenta dinner special prix fixe. The portions were substantial and the quality outstanding. We hope that it will continue. For first time diners to this restaurant we were very impressed. The food was just not good. Enjoyed the grilled octopus, very tender. They over-hyped their "special dessert" for the evening, beignets layered with a little fruit, some chocolate sauce and a little something else. It was certainly overpriced and disappointing.